Just over an hours drive north takes you to Punakaiki and the Pancake Rocks, and further on will take you to Wesport and the Seal Colony at Cape Foulwind. 20 minutes north of Hokitika is the fabulous Shantytown – a ‘must do’ while on the West Coast. The experience will take you back to the Gold Rush days here. Need to just chill out and relax? One minute from our 252 Beachside Motels & Holiday Park is a beautiful West Coast beach – a photographer’s paradise and in the winter sunrise is at a comfortable 7.20am. 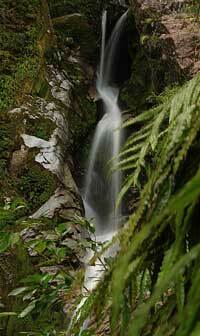 Spend a day exploring inland to the beautiful Dorothy Falls which are just past Lake Kaniere. 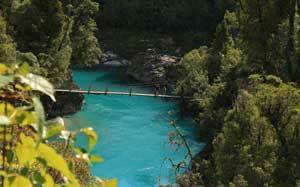 A round trip will take you to the Hokitika Gorge and the Rimu Lookout. Two hours south of Hokitika is Fox Glacier and Franz Josef Glacier. If you don’t feel like the drive take a flight from Hokitika Airport on a fixed-wing plane. Bonz n Stonz offers a Hokitika visitor an experience to treasure for a lifetime. Spend the day carving your own piece of Greenstone – our gifted carvers will show you how it’s done. Strolling through the township of Hokitika you will be astounded at the wide range of Art and Craft being created by our local artists. Jade Carving, Copper work, and the Hokitika Glass studio allows tourists to stand and watch the artists at work. Inland from Hokitika are various walking and cycling tracks, and a cycleway from Greymouth to Ross will be up and running (but part of these tracks can be used now). Five minutes drive south from the town clock is the Hokitika Golf course. This is a true links course adjacent to the beach and has the most fabulous views of Mount Cook. Visit the Treetop Walkway & Café at Lake Mahinapua. This will take you through beautiful native flora and fauna out to the lake and back again to the Rimu Road. Hokitika boasts some of the West Coast’s best restaurants – outdoor dining in summer and warm winter days makes for a fabulous culinary experience. So stay in Hokitika at 252 Beachside Motels & Holiday Park. We have family accommodation, group accommodation, studio units, standard cabins, and holiday park accommodation including campervan powered sites. Four stand-alone cottages have full cooking facilities, as do our two-bedroom family and group accommodation units. Our garden setting is a pet friendly paradise for well behaved dogs. In summer we have an in-ground swimming pool on-site for our guests. Wireless Internet and Skype is also available. We have a dump station for our Campervan guests, and also laundry facilities. Self-contained and Serviced accommodation one minute from the beach, three minutes from the glow worm dell, and a three-minute drive to the shops and restaurants of Hokitika. Affordable accommodation is here at 252 Beachside Motels & Holiday Park Hokitika.